Emberly's nursery left off here. We had made a TON of progress, but there was still a ways to go! I got pretty burned out from painting the room and the closet, so I took some time away. I don't even think I went in there for a couple weeks. I just needed time away to think about how/what I was going to do next. Sure enough inspiration came. The changes have been small but dramatic! 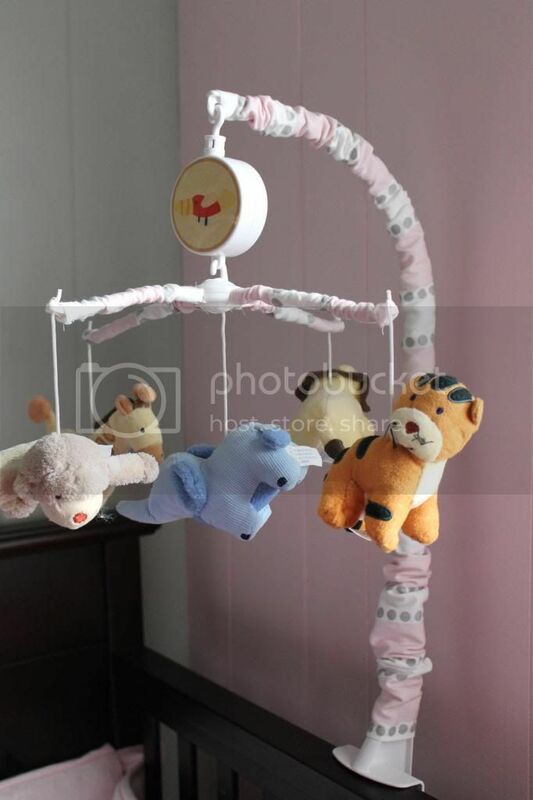 The crib mobile that we got at one of Luke's showers was cute but a little gender neutral. 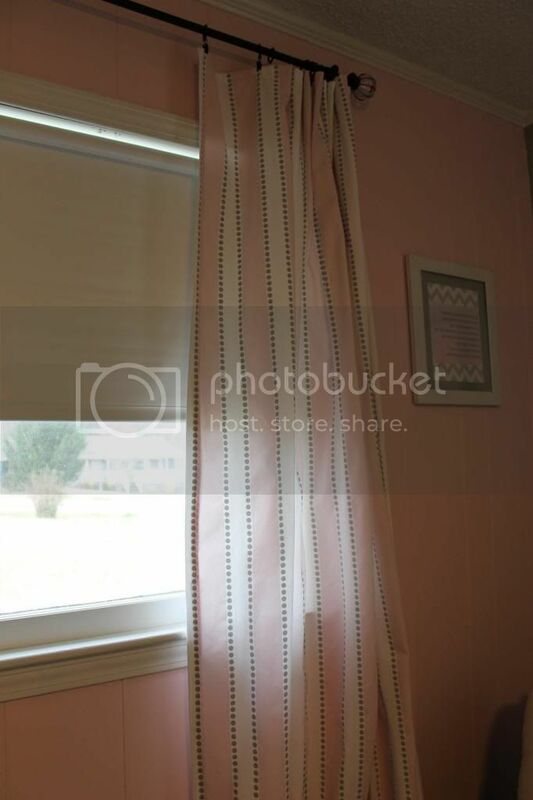 There is nothing gender neutral about this room... so I grabbed some extra curtain material and made the coverings pink! It was as easy as pulling them off, cutting around them, sewing them wrong sides together and flipping them right side out! 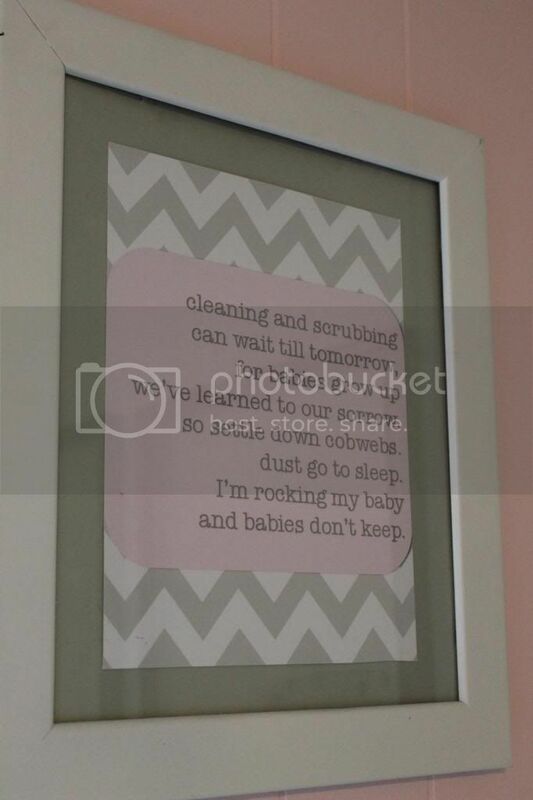 I made this printable from a well known quote. I love it so I always wanted it to be in sight. It's now hanging to the right of the main windows. 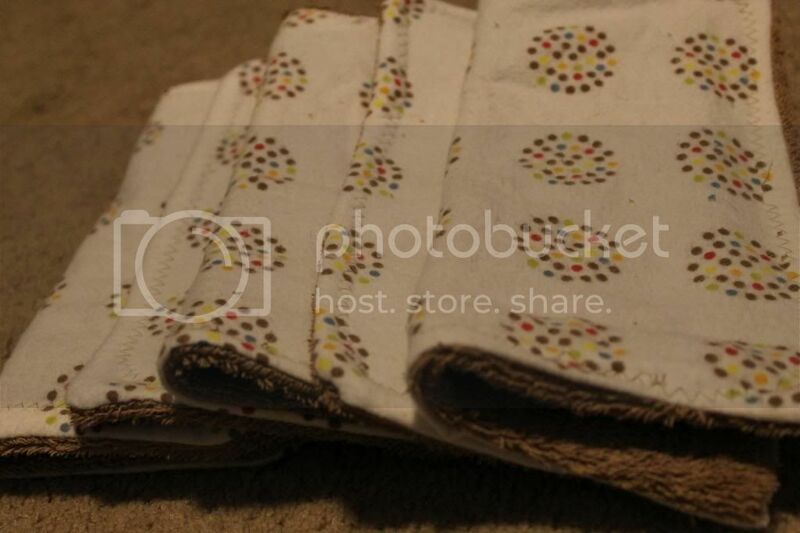 I whipped up some cloth wipes too. Once again I used a thrifting find to make this happen. The flannel side is make from cut up receiving blankets that I picked up for $1 at Goodwill. 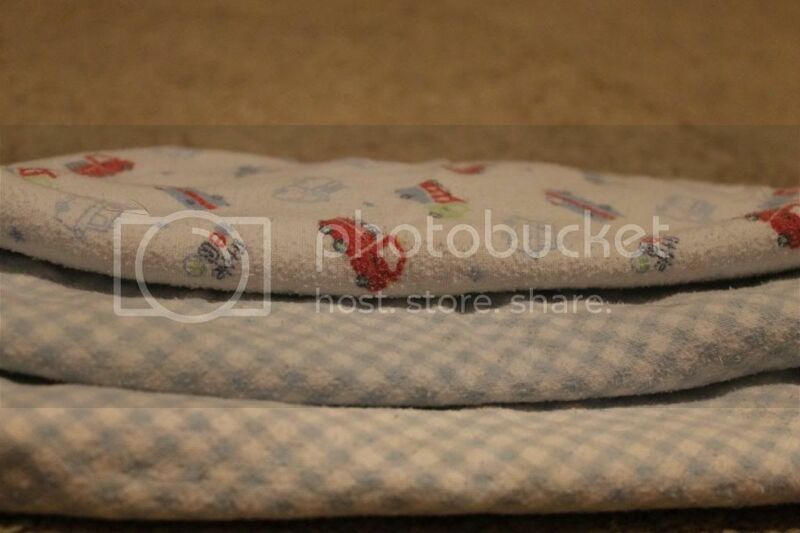 The terry cloth side is made from towels I picked up at the thrift store as well. After a few washes (and they'll get a final wash in a few weeks) they are good as new! 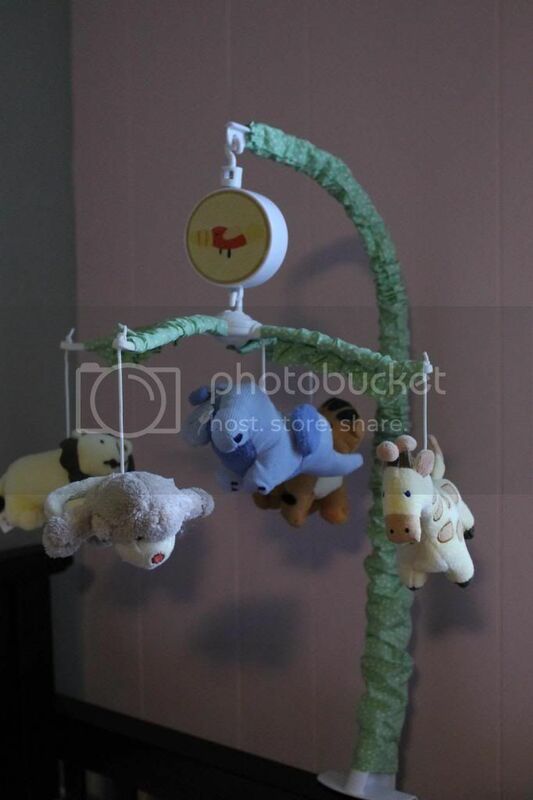 We are planning to cloth diaper this little one, and cloth wipes are SUPER easy to use with CDs. We still use Luke's cloth wipes ALL the time. They are great boogie wipes and can double as a washcloth in a pinch. They've held up great over the past 2 years. 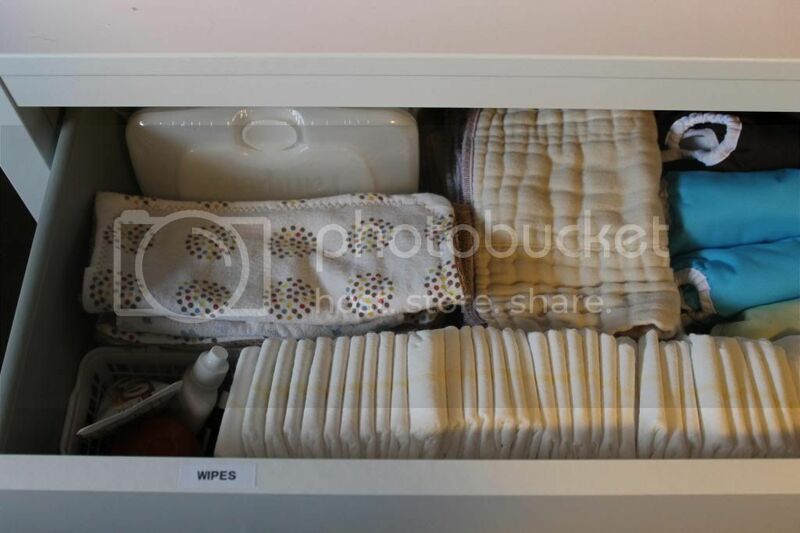 I made them when he was 1.
eeek all these diapering supplies make me happy! 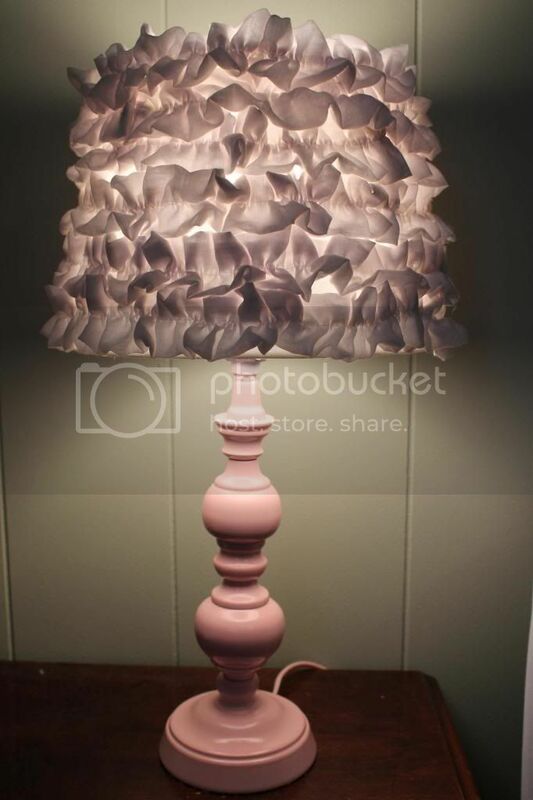 I shared Monday how I made the lamp in here. 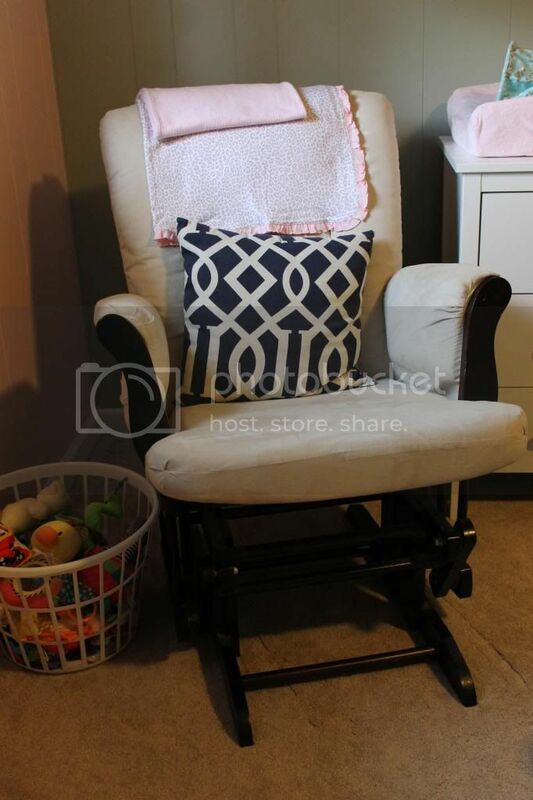 This is one of my favorite projects to date in the room! Her closet still needs alot of work. I just don't love it yet- BUT we are well on our way there. 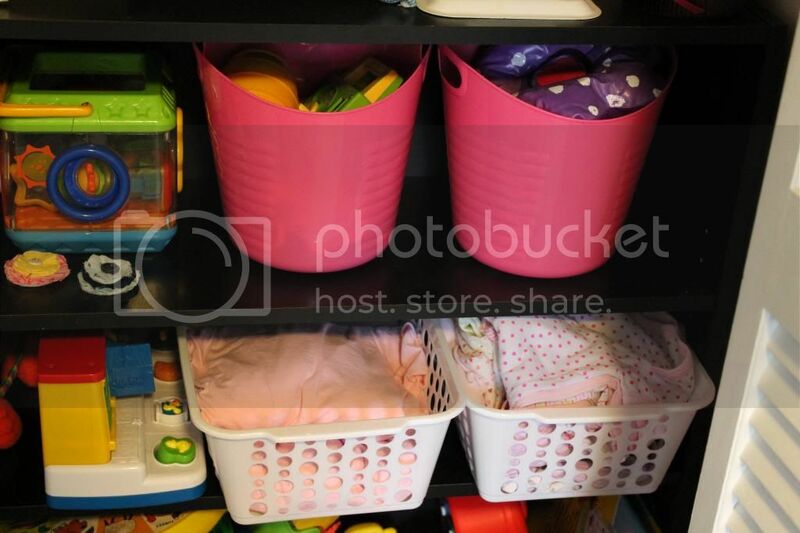 I grabbed some cheap Dollar Tree storage baskets to corral some toys and linens. Dollar store storage baskets are SUPER affordable and adorable (and many times customizable with vinyl!). I also grabbed a $1 laundry basket for her stuffed animals. I also got Luke one. He was thrilled that they have matching stuffed animal baskets! We bought the last shade for the third window. 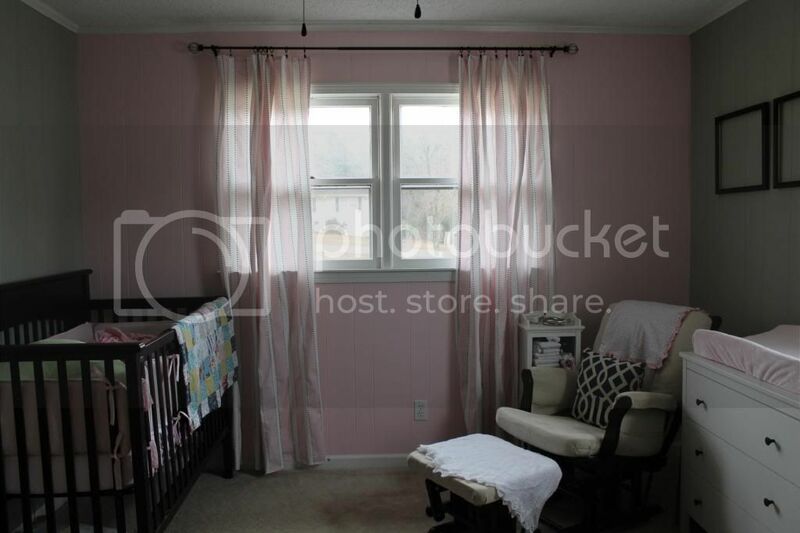 I mentioned in the last nursery post that we were debating between room darkening and blackout shades. We went with blackout shades on the western side of the house and room darkening on the north side. There was a $10 price difference, and now the room is plenty dark. So glad we went with them! ...I thought it would only be fitting to put her monogram over her crib. Wall hangings over cribs get dicey (since once they are old/tall enough they could pull a frame down), so I decided to do the monogram in vinyl. No pulling it down and it'll nicely fill up the wall! Win-win. It's my next "to-do". Starting the collage on the wall over the futon- I want this to be a work in progress so no rush. 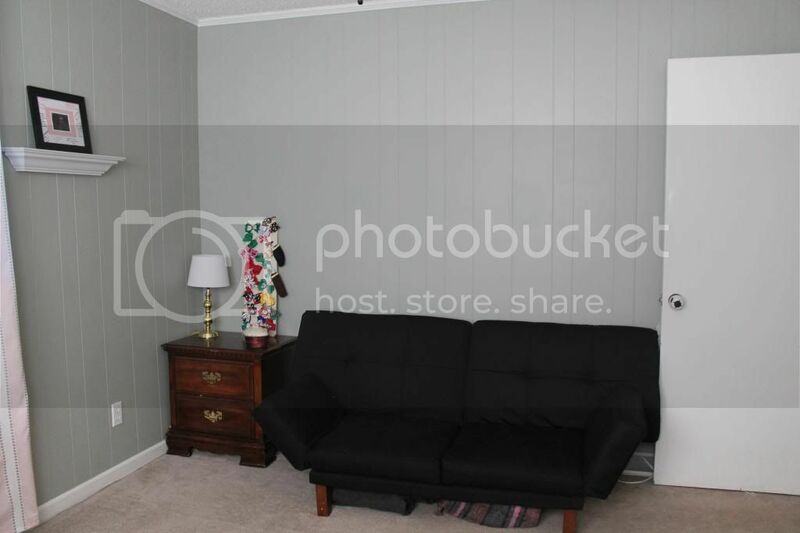 I'd love to make pillows for the futon. This may be something that'll wait until later- we'll just have to see how my energy holds up. I also want to tackle the closet- closet dividers by size, and maybe some storage for the top. I just need to think on it a bit more and maybe gain some inspiration from pinterest. Long term I'd love to refinish that end table. Her big girl bed will be white, so I would love to paint it down the road. I'm thinking I'll have one more update before we call it done! May 15th is coming fast!